Though many of the fires burning through B.C. 's Okanagan stabilized on Saturday thanks to cooler conditions, officials are expecting they could ramp up again as temperatures rise. Fire crews conducted controlled burns Sunday around Peachland, B.C., to burn off dry trees and brush in between a large wildfire known as the Mount Eneas fire and another nearby blaze. Glen Burgess with the B.C. 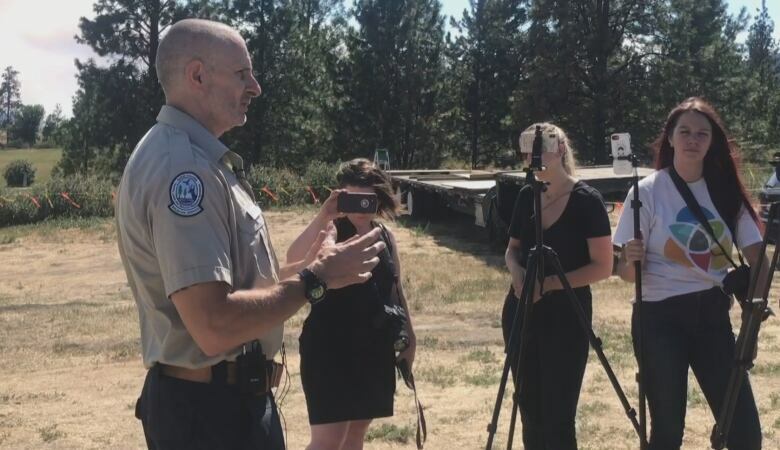 Wildfire Service says it was important to conduct the burns in current weather conditions, which have been cooler, "rather than allowing Mother Nature to do it when we didn't want it to occur." Crews dropped ping-pong balls full of combustible fuel into the area, which ignited when they hit the ground. Aircraft then dropped fire retardant around the perimeter of the burn to keep it in place. It resulted in a plume of smoke that some locals may assume is increased fire activity. "Obviously it can be unnerving," said Burgess. "That plume of smoke was most likely to occur, we'd just rather do it on our terms." "The situation is definitely stabilized from where we were at, say, 72 hours ago," said fire information officer Kevin Skrepnek. "Having said that though we are expecting, starting today and really for the foreseeable future, we are rebounding right back into a fairly typical summer pattern — fairly warm days certainly here in the Interior, probably north of 30 [C] most days, and no real significant rain in sight." 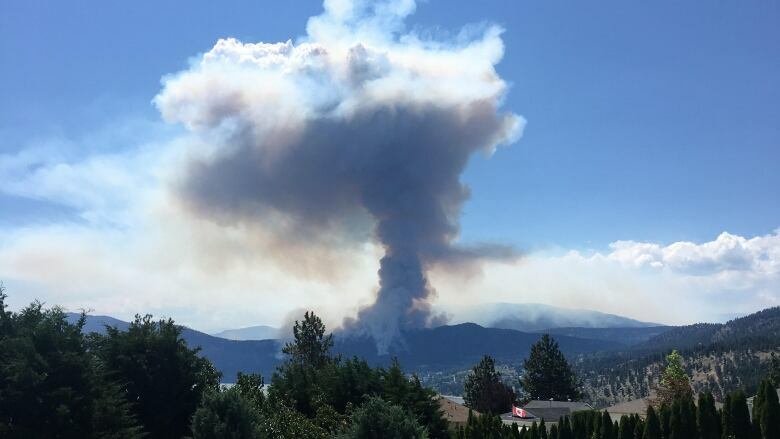 Within the regional district of Okanagan-Similkameen, five properties remain on evacuation order and 92 properties remain under evacuation alert due to the Mount Eneas wildfire along Highway 97 north of Summerland and the Meadow Valley area northwest of Summerland. Within the district of Summerland, 30 properties remain on evacuation order in the northern portion of Garnet Valley due to the Mount Eneas wildfire. An additional 108 properties remain on evacuation alert within the district of Summerland. A special air quality statement is in effect for parts of B.C. 's Interior warning of poor air quality due to smoke.